Yey!!!!!!!!!! 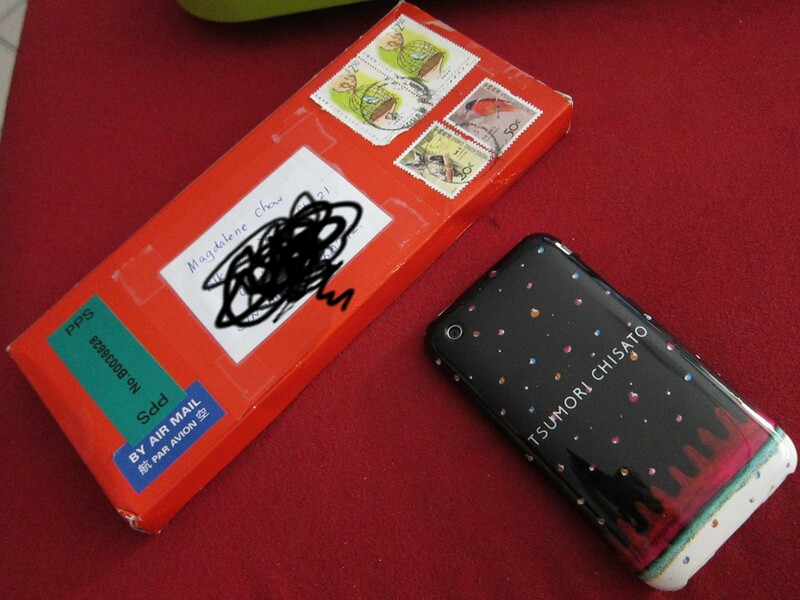 Finally gotten my Limited edition Tsumori Chisato Iphone cover from HKG! My ex-coll couldn’t find Issey Miyake boutique in Japan and I’m so tempted to head there myself! Been dying to explore BKK local fashion designers products yet at the same time, I want to head to HKG-Tokyo next year! I can only save for either, %^&*@#. Why is fashion always slower in Singapore???? Work has been really tiring despite me having fun with the kiddos. I sleep early everyday since I started working! LOL I lost almost 6kgs in 2 weeks! Woots!!!! Want to lose weight without paying thousands to the slimming center? Come join me as a Childhood educator and you lose weight healthily and get paid! LOL I think this will attract a lot of ladies to join our line! Hahahaaaaa I think I will get damn stress when I start school in 1 month’s time. I’m mixing and editing some songs for the teachers for our upcoming graduation concert for the kids. I’m all excited and feel like I’ve never left my position as an Audio Producer. Heh!